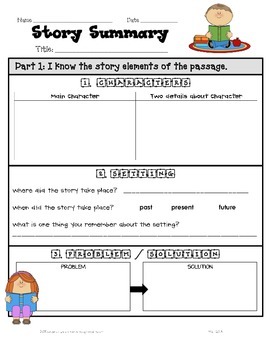 This form allows you to assess student comprehension of a fiction story. It has been modified from the original "Story Summary" to offer support to students who are at a lower ability in writing or need more stucture in organizing their thinking. 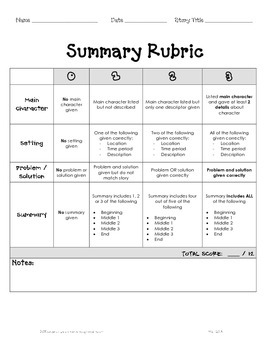 A RUBRIC is included in order to collect data on student achievement.